The Uttar Pradesh government has allocated Rs 800 crore for land purchase of the Jewar Airport in its Budget 2019-20. Prime Minister Narendra Modi is expected to lay the foundation stone of the airport later this month. When the Union Civil Aviation Ministry gave an in-principle approval for a second airport in the national capital in Jewar in April last year, it did far more than only boosting the government’s air connectivity plans. The environment ministry which in June gave its clearance to the project did the same. Since the “internal rate of return, financial outcome and traffic projections of the airport site is satisfactory”, the government in October issued a notification for the acquisition of 1,239 hectare of land for the project. For the first phase of the airport, 1,334-hectare land is required. Of this, 94-hectare land belongs to the government. The state government has approved the release of Rs 1,260 crore for land acquisition for the project in the financial year 2018-19. The Uttar Pradesh government has decided to offer three times the circle rate to owners—Rs 2,300 per square metre as against Rs 900/sqm—for acquiring land for the project. By March this year, the work on the construction site might start. By 2023, the first phase of the airport will become operational. To make sure that no deadlines are missed, the Gautam Buddha Nagar District Administration, which will be acquiring the land on behalf of the state government, plans to purchase land directly from farmers, without invoking the Land Acquisition Act, 2013. It might take years for the state to acquire land for the airport project if the provisions of the Right to Fair Compensation and Transparency in Land Acquisition, Rehabilitation and Resettlement Act, 2013, come into play. Sections 4 and 6 of the Act gives farmers the right to raise an objection to a land acquisition plan. However, the government will have to significantly increase the compensation amount to acquire land across 39 villages in the state. While the district administration has earlier proposed a per square foot (psf) rate of Rs 1,895, farmers are now demanding Rs 5,000 psf as compensation. It is worth mentioning here that rates of land in the area shot up dramatically after the concrete steps were taken to make the Jewar Airport a reality. While rate of one bigha (843 square metre) of land used to be Rs 4-5 lakh earlier, property brokers are now seen offering farmers prices in the range of Rs 20-25 lakh a bigha. The Centre has also directed the Yeida and PwC to prepare the bid document by July to select a developer for the project. “Officials have already discussed the broad guidelines under which the request-for-proposal (RFP) document will be finalised. Now, PwC and the authority (Yeida) have all the necessary inputs to prepare the RFP. The timeline to float the RFP is set for July,” Yeida Officer on Special Duty Shailendra Bhatia was quoted by Hindustan Times as saying. “Once finalised, this bid document will become a model for the entire country for selection of the developers at other cities where airport projects are proposed,” he added. This development has come as a great breather for builders in Noida, who are in desperate need of good news. 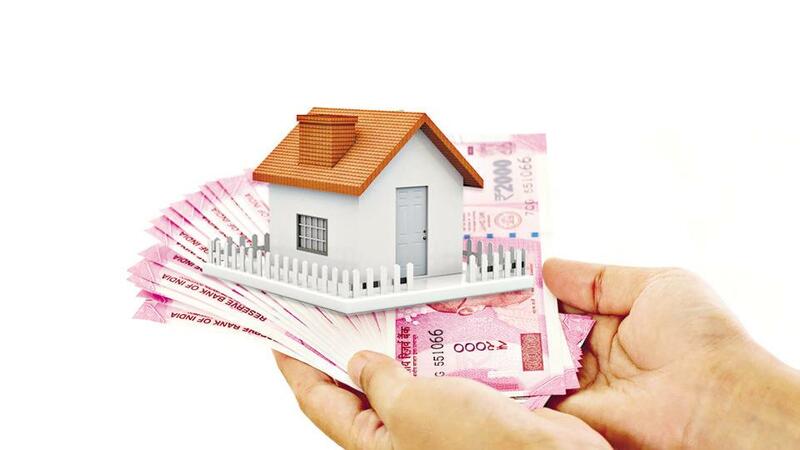 Money crunch has stuck progress of as many as 300 housing projects in the city, creating an overall negative sentiment in this real estate market which was once among the most-talked and about and much- appreciated property hubs in the country. “It’s big news for the real estate business in this region because the airport will be the biggest job creator here. It is a much-needed boost to the real estate sector. We had been waiting for such a positive step from the government. Since it will take four or five years to build the airport, this region will become a good investment option,” Confederation of Real Estate Developers Association of India President Getambar Anand was quoted by Hindustan Times as saying. And, it is not only players in India who are upbeat about the new airport. Several companies in the US have also evinced interest in the airport project. Uttar Pradesh Health Minister Sidhartha Nath Singh, who was on a visit to that country, on May 9 said many US companies, including Boeing, had showed interest in making a maintenance, repair and overhaul (MRO) centre at the Jewar Airport. The news that the government is also planning to connect the Jewar Airport with at least two different rail transit systems has also come as great news for the real estate sector in the region. While the Centre plans to connect the Jewar Airport with the Indira Gandhi International Airport in Delhi through a direct Metro link, the Uttar Pradesh government is also learning the feasibility of connecting it with Sarai Kale Khan through a rapid rail transit system. According to media reports, the Delhi Metro Rail Corporation has already submitted a detailed project report to Jewar a Metro connect to the Yamuna Expressway Industrial Development Authority. It is worth mentioning here that the state government is already developing a 30-kilometre Metro network to connect various parts of Noida and Greater Noida with the national capital. While the estimated cost of building the airport is Rs 20,000 crore, another thousand of crores would be spent to connect it with the national capital. The timeline: The proposal for an airport in Jewar was made in 2001 when current Home Minister Rajnath Singh was the chief minister of Uttar Pradesh. His successor Mayawati also backed the plan, and her government acquired more than 2,000 acres for the project. It was on December 5 last year, however, that the UP Cabinet, headed by Chief Minister Yogi Adityanath, gave its approval for the development of the airport. The Union government had also given site clearance approval for the project on July 5 last year. The Union home ministry has also given a No-Objection Certificate (NOC) for the project on October 5. Estimated cost: Nearly 5,000 hectares of land would be needed for the development of this international airport that would be developed in four phases, say estimates of the Uttar Pradesh government. The estimated cost of the project, which will be carried out by the Yamuna Expressway Industrial Development Authority, is pegged at Rs 20,000 crore. This cost does not include the connectivity plans. Capacity: According to PwC, the agency that has prepared the techno-economic feasibility report for the project, the Jewar Airport is expected to handle 60 lakh passengers by 2022-23, when the first phase of the project is slated to be ready. It would cater to handle over 10 crore passengers by 2050, the agency said. It was likely that the passengers could take flights from the Jewar Airport to international destinations such as London, Abh Dhabi, Doha, Dubai, Katmandu and Bangkok, apart from flying to key domestic destinations, the report said. The impact: The civil aviation ministry expects this airport to give a boost to connectivity in the whole of western Uttar Pradesh, which will, in turn, bolster tourism and economic potential of the region. This airport will not only address the aviation needs of the Delhi airport but also cities such as Agra, Mathura, Bulandshahr and Meerut. The arrival of the new airport would significantly improve the prospects of property in the region. A high-speed network would only further the momentum.